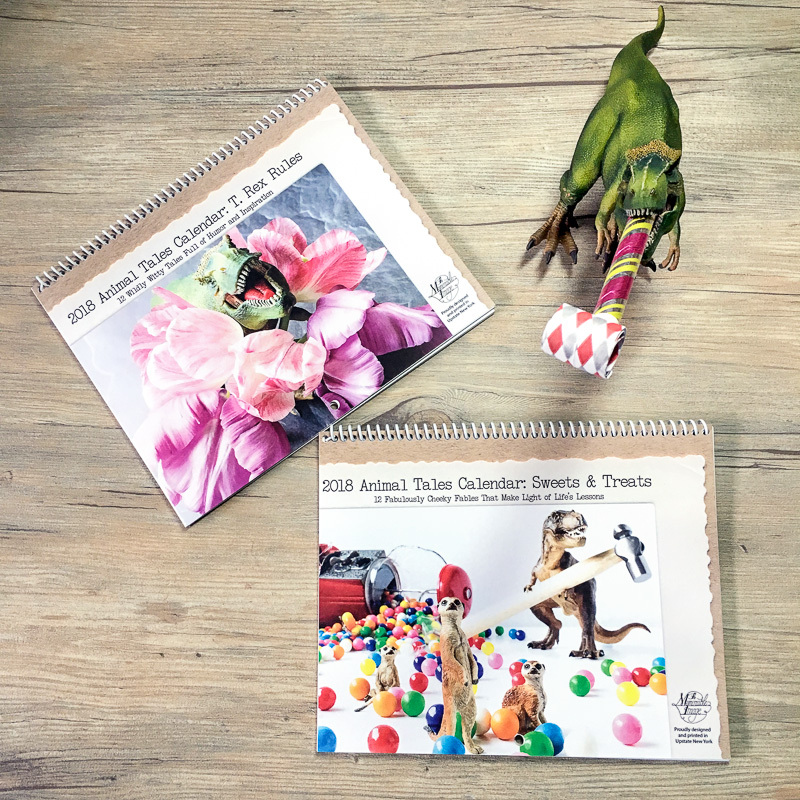 The 2018 Animal Tales Calendars are releasing online on Monday, Oct 16 (sign up for my newsletter to be alerted first when they go live). That is right, T. Rex has gotten promoted to a solo calendar: T. Rex Rules is a modern take on your classic T. Rex as she tries to navigate living the good life, making friends, and finding fulfillment in everyday joys. Sweets & Treats is a temptation packed calendar involving all sorts of sugar-coated antics and aspirational adventures as the Animals explore life’s lessons. I am really proud of both of these calendars. The stories and setups this year pushed me beyond my comfort zone and added a lot of dimension to the Animal Tales world. On Monday when the calendars go live: I will post a full preview of all 12 months of Tales for both calendars along with a link to the Etsy listing. In the meantime, you can get a sneak peek of the goodies on Instagram and Facebook.